Maude Fealy was born Maude Hawk; her mother divorced Hawk and took her maiden name. Maude was born in Memphis, Tennessee, on March 4, 1883 (some sources give the year 1886). Her first stage appearance when she was four was as an angel in Faust and Marguerite with her mother, Margaret Fealy, playing Marguerite. 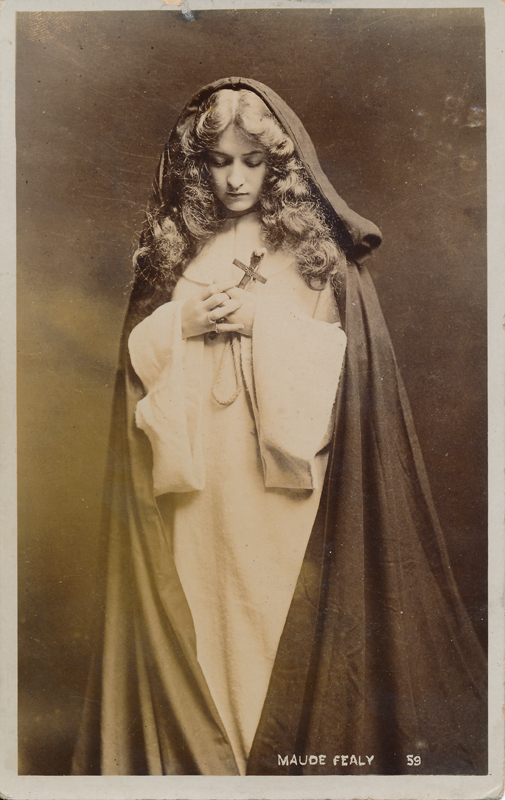 In her early years she played Juliet, and the producer Augustin Daly saw her perform the part when she was fourteen and invited her to join his company. Evidence is scant, but in 1905, she played Ophelia in Hamlet, and in 1904-5, Portia in The Merchant of Venice. Besides a long and continuous career on the boards she played in forty-one films, the first in 1911 and the last in 1958. Her roles in Shakespeare’s plays were really an insignificant part of her career. Her first real entry into the world of film was in 1913 when she was employed by the Thanhouser Company; she became one of the company’s most important leading ladies. The company started a project of silent Shakespeare adaptations, among them King Lear and The Winter’s Tale, but some of the films suffered nitrate deterioration and exist only in fragments. One of the first of the films was The Winter’s Tale (1910), but Fealy, in some of her pictures costumed as the typical Perdita, did not join the company until 1913, so there is no hard evidence she played in any of the Shakespeare adaptations. Biographical papers in the Denver Public Library say that while living in California during the 1930s, Fealy participated in the Federal Theater Projects. Under the direction of Gareth Hughs, she enacted excerpts from Shakespeare’s plays. Throughout various periods in her career she had taught acting and in semi-retirement after 1957 she toured with her one-woman performances and gave a series of lectures on Shakespeare. Fealy was a celebrated stage beauty and although written sources are hard to find, she is abundantly represented on the World Wide Web and still inspires a number of fans. There are literally dozens of photographs and postcards of Fealy in various roles and scenes. 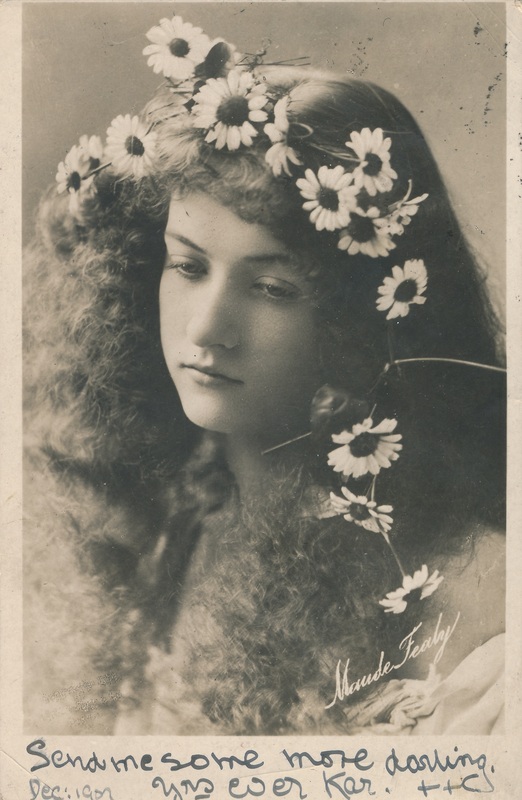 Start with The Maude Fealy Postcard Gallery and follow the links.